Anyone who thinks small business have simple requirements in terms of software has never worked within an SMB. SMBs requirements are often just as complex as those of enterprise but they don’t have the resourcing that larger organizations do – a double whammy that puts them at a distinct disadvantage. It’s for this reason that I get excited when I see solutions that really move the dial for SMBs. Case in point: the announcement this morning from free SMB accounting vendor Wave that it is introducing receipt scanning to its SMB accounting suite. If a user takes a picture of a receipt or uploads it to through the web then we OCR it and populate as much data as possible including: vendor, date and total (more coming later relating to sub-total and sales taxes). We also use Wave’s auto-categorization to add the expense account (where possible). If we are unable to pull out the data – or if we get it wrong (things like image quality etc…will affect this) then the user can make the adjustments and verify them. The OCR is a learning engine so the more we see the same receipt the better the engine will get. With our almost 600,000 signed up users our engine will get very robust very quickly. This sort of automation of SMB processes is incredibly enabling – I’ve spent time with a vast number of SMBs who used to use MYOB and have moved to Xero for example. When quizzing these businesses about what really provides the value compared to legacy applications, it is the ecosystem of integration and automations which really drive efficiencies. Whether it’s an integration with a CRM or the automatic categorization of transactions from bank statements – lubricating the day to day life of SMBs is super valuable. 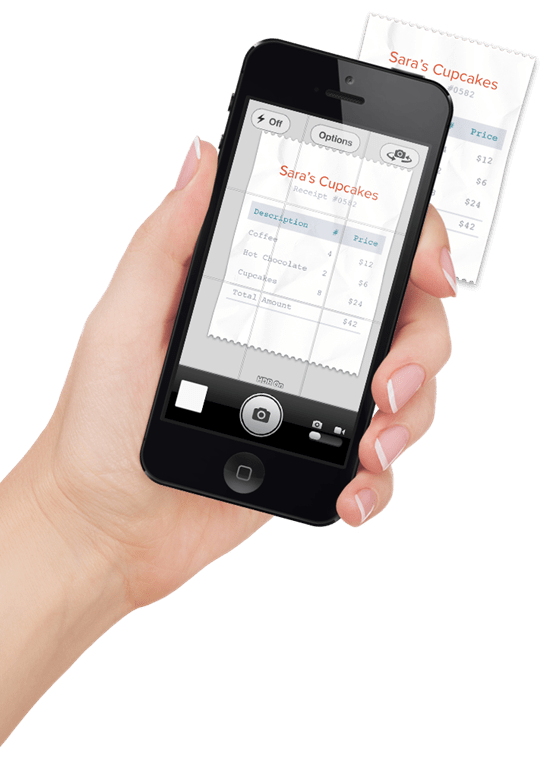 Anyway – back to Wave – the receipts app is available either within the application or on a native iOS application, the company intends to release an Android version soon. Like all the other core Wave accounting products, Receipts is completely free – subsidized by the offers and deals that Wave offers business users – while some suggest that advertising within an application is a disincentive to adoption, Wave’s 600000 users tracking over $20B of SMB income and spending would seem to disagree. And with over $19M in funding, it seems the investors are also bullish about this model. You can get OCR for Xero but it is a $20-$100 add on from Shoeboxed. Amazing how Wave can do all this for free – I cant believe the partner deals (ie. advertising) is enough to pay the bills. This function is also available in Xero via Xero’s Add-on Partner of the Year – Receipt Bank.